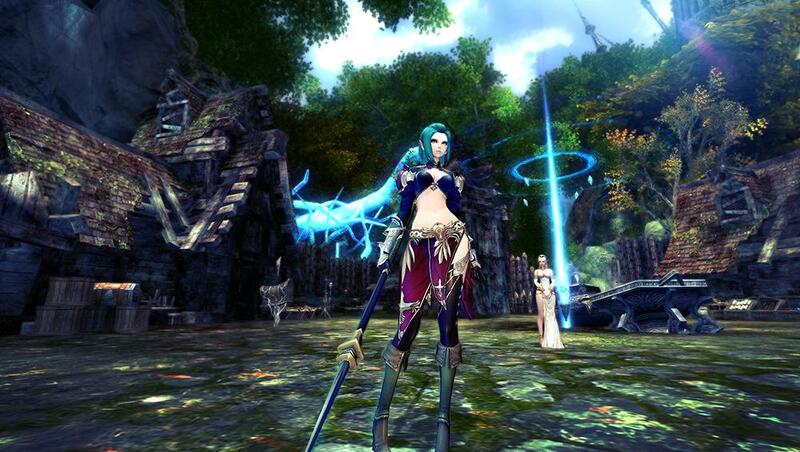 Echo of Soul is a F2P MMO RPG developed by Nvius. Echo of Soul (EoS) is a free to play fantasy-based MMO where players embark on an epic journey across a vast landscape that they can explore and seek out great challenges and even greater rewards. With a variety of classes to choose from players can enjoy solo-based quest content, PVE and PVP or group up with other players and friends to tackle some greater threats within the game including party dungeons. The game comes complete with its own companion mobile app where players can track their auctions, manage their character inventory and talk to other players online to arrange meet ups in game and plan their gaming sessions. In the game players are tasked with being the Soulkeeper, the chosen champion of the gods Odin and Frigg tasked with battling the Shadow Soul forged from the corrupted blood of the ancient Giant King Ymir after the War of the Creators between Gods and Giants almost destroyed the world itself. Ymirs blood not threatens the world once more as it looks t contaminate the source of all Creation, the World Tree, and with the Soulkeeper can prevent this disastrous catastrophe from happening. The core of the game revolves around players completing quests, gaining XP and levelling up their skills and gear to become more competitive in both PVP and PVE whilst following a story driven quest arc. The powerful Soul System is a call mechanic of the game where players are able to recover Chaos Souls from fallen monsters and evil spirits, these Chaos Souls can be purified and turned into a beneficial power source. There are four different Soul skills that players can earn: Innocence, Peace, Courage and Hope, each of which allows players to trigger powerful abilities. Late game content revolves around PVP, Guild PVP Battlegrounds and instanced based Dungeons where players can try to acquire top tier gear for their character. There are five different classes that players can choose from in the game; Warrior, Archer, Rogue, Guardian and Sorceress, each of which have their own unique abilities and traits and giving them defensive roles in combat when part of a group. The Warrior is a heavily armoured melee combatant focusing on powerful attacks that can specialise as a damage dealing Berserker or a more defensive Protector. The Archer can use both bow and music to aid their companions and hinder their enemies, specialising as a Huntress she can deal continuous ranged damage or as a Bard who is melodic tunes can buff allies and debuff enemies. The Rogue focuses on fast attacks and can utilise deadly poisons, specialising as a Duellist the have mastered explosive critical assaults and focus on all-out damage or alternatively can be and Assassin using poisons to hinder, harm and ultimately kill their opponents. The Guardian is able to communicate with the spirits and draws her own energy from nature, if specialised as a Stormguard she can perform thunder and wind attacks to weaken and opponents defences or as an Earthguard utilises Earth elements to provide protection to her party and shock waves to attack enemies. Similar to her Guardian counterpart the Sorceress also utilises the elements, focusing on being a Firemage with the ability to nuke enemies for maximum damage or Frostmage to inflict damage and crowd control effects. In the game there are three types of Dungeons that offer completely different experiences complete with challenging monsters and Bosses as well as environmental hazards and traps, players are able to keep track of their speed on the leaderboard to see which players can clear a dungeon the fastest. Players can join a Solo Dungeon when their friends are offline, a Party Dungeon working alongside other players with four other Soulkeepers to take on challenges that require teamwork and a combination of different roles; these group dungeons also include Raid dungeons with up to 20 players able to fight alongside each other. Finally the Infinite Dungeons are randomly generated encounters, each time a player heads into them seeking out rewards and resources they get to choose one of seven difficulty levels to increase the challenge and subsequent rewards, all of which end with a final encounter versus a powerful boss.